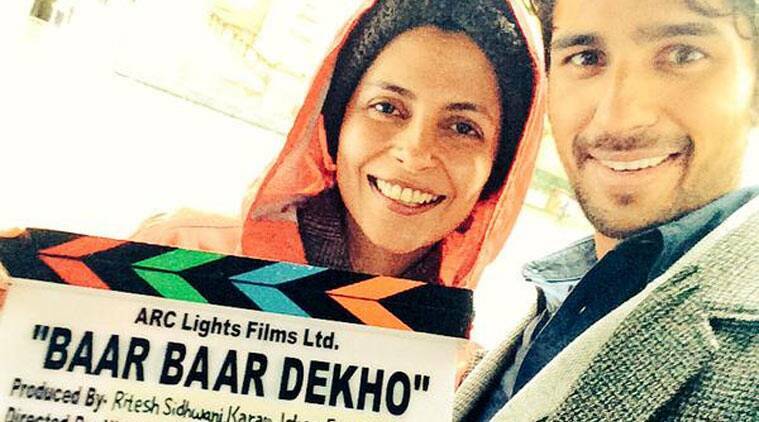 Sidharth Malhotra's next 'Baar Baar Dekho', to be directed by Nitya Mehra, has finally gone on floor in London. Sidharth Malhotra took to Twitter to share the news with the filmmaker Nitya Mehra. After a lot of rumours and speculations, Sidharth Malhotra‘s next, to be directed by Nitya Mehra, has finally gone on floor in London. In fact, the actor recently took to Twitter to share a picture with the filmmaker. The film which was earlier tentatively titled as ‘Kal Jisne Dekha’, has also been re-titled now as ‘Baar Baar Dekho’, according to Sidharth’s tweet. The film is said to be a love story that travels through time and Sidharth along with co-star Katrina Kaif will be sporting different looks in the film. ‘Baar Baar Dekho’ is produced by Excel Entertainment in association with Eros.